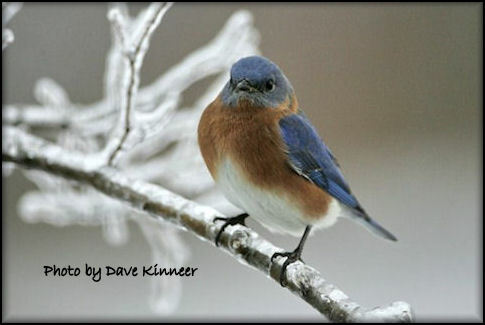 ← VIRGINIA BLUEBIRD SOCIETY STATE CONFERENCE – NOVEMBER 9, 2013 – ALL ARE WELCOME TO ATTEND! 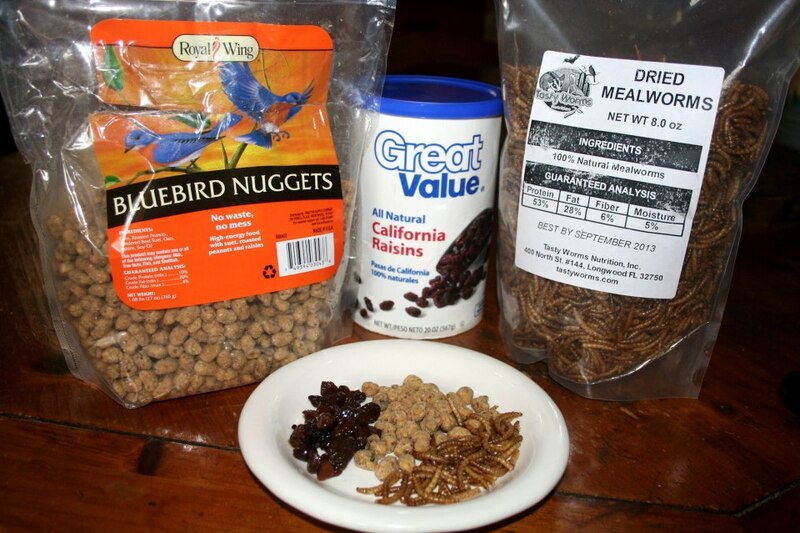 Check out my updated (suet free) wild bird food. The bluebirds ADORE this food and so do many other wild birds. Feel free to share too. PS: I do not ever feed dried mealworms as most come from China and I do not trust the source. Go the distance and order live mealworms from Grubco. Easy to care for in a plastic bin with oat bran. They adore fresh romaine lettuce leaves and carrots, as they need this for hydration. Organic sources please…think of our wild birds. They don’t need GMO feed of any kind. Not much more to go organic. I get my dried mealworms from NY (organic). No worries. I also like to feed the other birds. Thanks for sharing. Could you please give me contact info for the organic dried mealworms? Thanks for all you do! Thanks for the info! I use the bluebird banquet also and some of the blues eat it also. Thanks. We lightly coat the dried mealworms with powdered calcium as I’ve read that they can deplete calcium. We, too, feed them bluebird banquet and some of them really enjoy it. I feed hulled sunflower seeds, millet, currants (chopped) from Whole Foods bulk department and occasional nuggets. 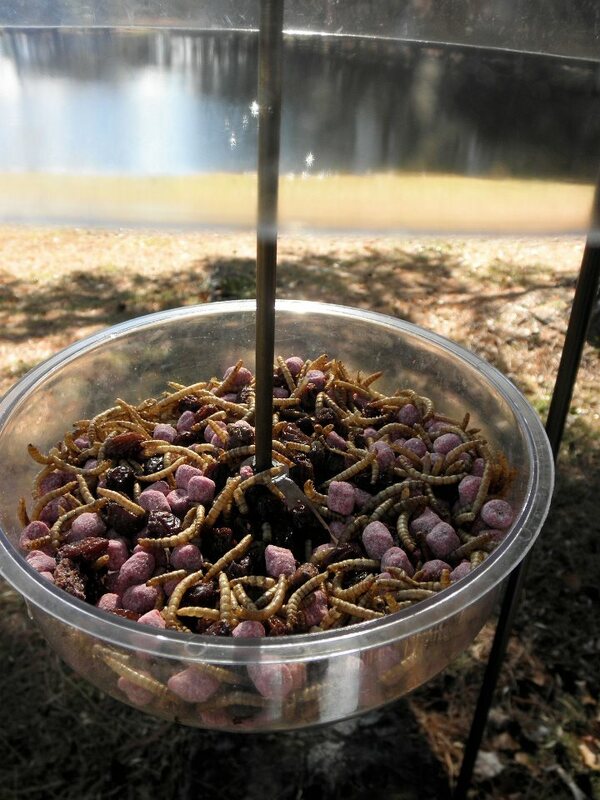 I order live mealworms from Grubco and feed all this buffet in platform feeders. I pause using commercial suet as this supports feed lots in the mid-west, an inhumane industrial beef process. Undoubtedly the suet is loaded with antibiotics, which cannot be good for our wild birds. I understand there is a vegetable fat that can be used instead of animal. If you have a local source for suet from grass fed beef, all the better. 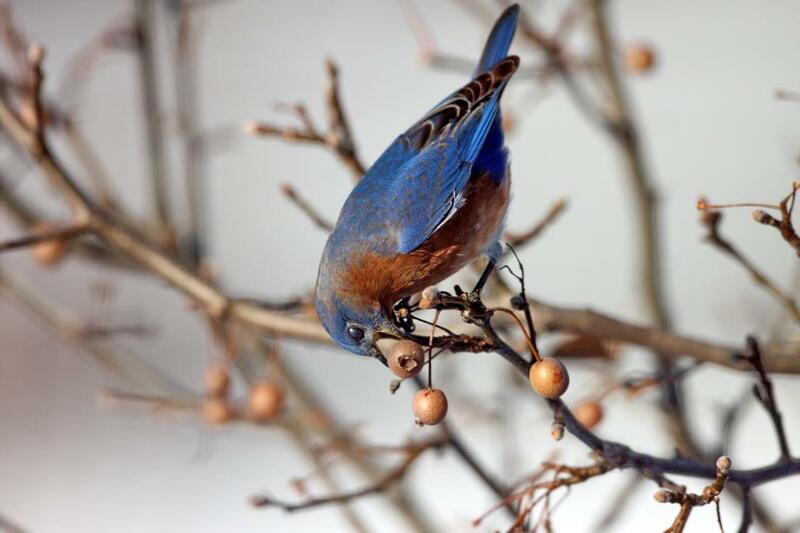 I feed 12 varieties of wild birds here in central VA and have four bluebirds. Two adults from past nesting season, and two of their offspring. All these birds enjoy this buffet and I so enjoy every day with their presence. Suggestion: do not use salted nuts, butters, or seeds in bird food. Grind organic eggs shells from hard cooked eggs in a coffee or spice grinder and sprinkle a pinch on every bowl of food going out to birds. This is especially helpful during laying season.